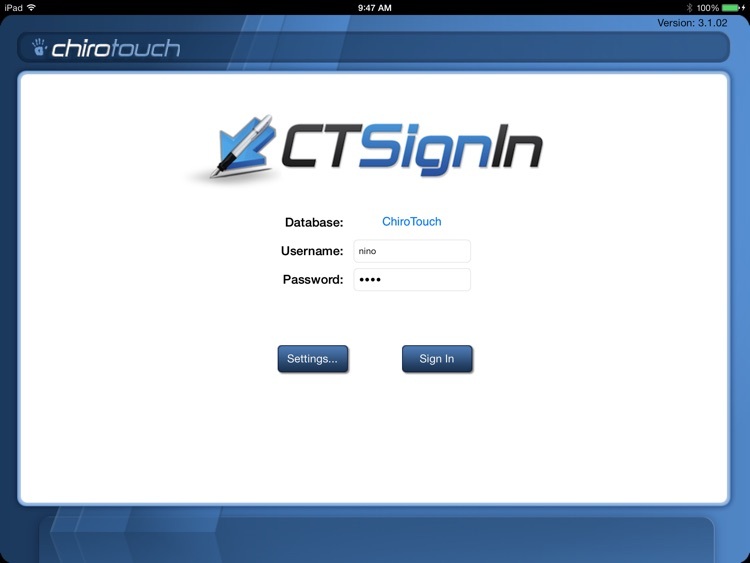 CT Sign-In Mobile is intended for use by chiropractors with the ChiroTouch Total Practice Management System. 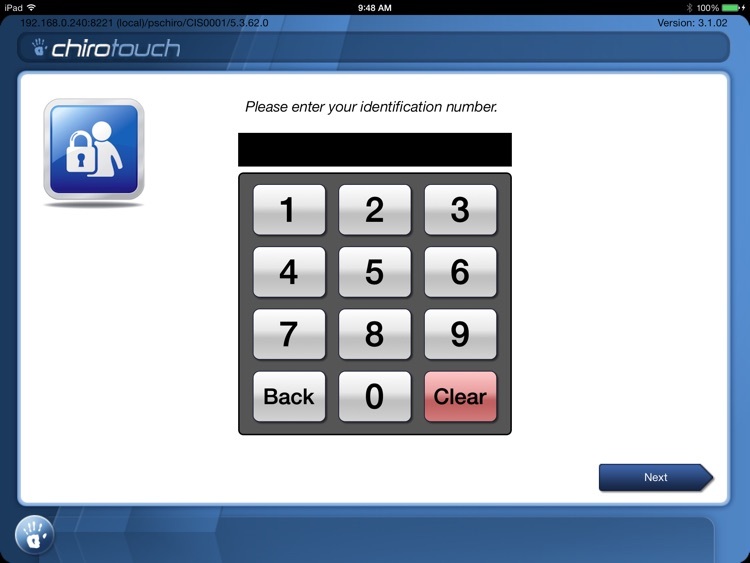 The CT Sign-In Mobile application offers patients the ability to sign into their appointment from a handheld iPad while in the provider's office. 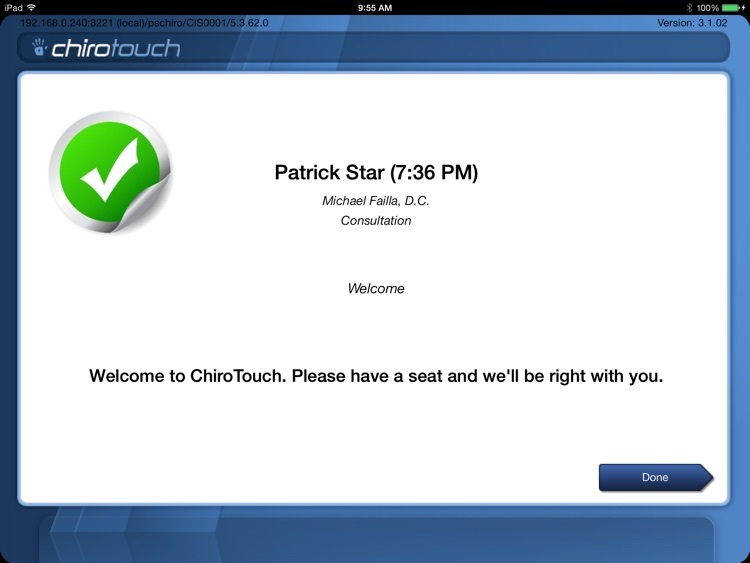 *To access settings, swipe to the right on the ChiroTouch logo after you login.